Veteran cherished Icon thespian actor Wijeya Nandasiri who gave life to many a character to stage, small screen and films breathed his last on the way to the Kalubowila Teaching hospital from his residence at Kalapura,Templars road Mt Lavinia on the morning of the 08th August 2016,following a heart attack at the age of 72 years. Thus Wijeya Nandasiri the celebrated thespian actor in performing arts had his final curtain call after providing ample of smiles, joy and laughter to audiences dominating and conquering the stage and the silver screens for over five decades. Wijeya Nandasiri was born on 06th May 1944 to a humble family in Maharagama had received his primary and secondary education at the Vidyakara Vidyalaya in Maharagama. 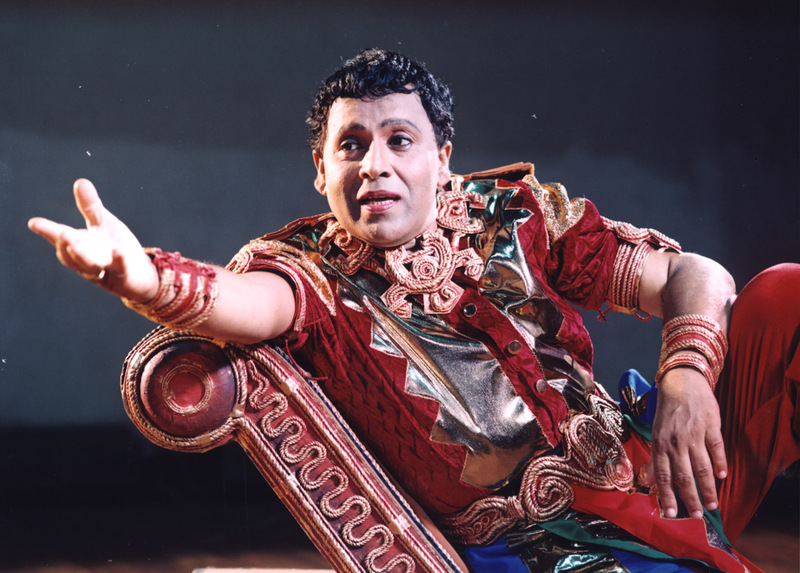 He had become interested in acting during his tenure in school .He had made theatre debut in the year 1966 in the stage drama Vidura-Diva produced by Amaradasa Gunawardena for the State drama festival. He next portrayed a role in Naribena, Jasaya saha Lenchina made by veteran renowned dramatist Dayananda Gunawardena, who personally invited Wijeya Nandasiri to become part of the cast. 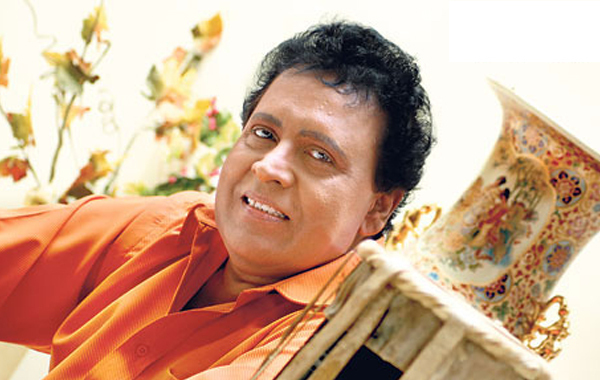 Wijeya was initially attached briefly as a catering officer at the Bandaranaike International airport in Katunayake in the late-’60s as his acting career developed. 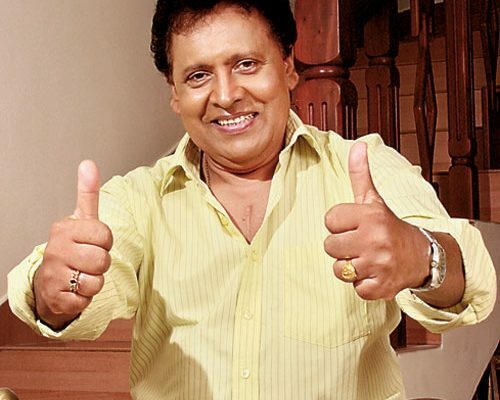 After his debut drama he subsequently played in many stage dramas including Bakmaha Akunu by Dayananda Gunawardena, Thahanchi and Baka Thapas by Sathischandra Edirisinghe, Kontharaya, Wahalak Nathi Geyak and Sarade Sina by Prema Ranjith Thilakarathna and Bedde Goranaduwa by Ananda S. Wijesiri. After Ran Kanda, Nandasiri was on demand, and starred in the plays Subha Saha Yasa, Nariya Saha Keju Kella, Ekadipathi, Tharawo Egilethi, Kuweni and Hunuwataye Kathawa among others. Over the next 27 years he played the character of Prince Maname in Proffessor Ediriweera Sarachchandra‘s celebrated drama Maname, and appeared in Singha Bahu, Mahasara and Ratnawalee. Wijeya Nandasiri achieved more fame in 1971 in the play Ran Kanda. He has participated over 40 plays staged island-wide since. Wijeya Nandasiri’s early television credits included Gamana and Pramada Wedei. He was later a producer of teledrama Humalaya. He became famous as a comedy actor with the character of “Preem” in the teledrama “Nonawaruni Mahathwaruni” broadcasted on Sirasa TV.Then later in Yes Madam, Ethuma and Yes Boss. Wijeya Nandasiri was married to renowned actress Devika Mihirani], who herself holds the record to be the main actress in Sri Lanka’s first ever Tele-drama, Dimuthu Muthu]. Their first close encounter was at Sudarshi Visual Arts Center, where Mihirani learnt dancing. It was Wijeya Nandasiri the one who invited Mihirani for the drama Subha Saha Yasa in 1974. They have two children, Navanjana and Rasanjana Suchitra.The elder daughter Navanjana is married to Chaminda Guneratne and they are domiciled in Brisbane Australia, the younger son Rasanjana is studying in USA. Wijeya Nandasiri in year 1976 had met KAW.Perera the renowned film director and producer while staging T. B. Ilangaratne‘s Shailasanaya gave him his first film role in the movie Nedayo The character portrayed was of a blind person and the song “Sanasum Susuman Pavila” the song he portrayed is still a popular song lingering among people as his starring in the scene was absolutely realistic He has had roles in such films as Mage Amma Yasa Isuru, Sandakada Pahana, Bangali Walalu, Sasara ,left right Sir,Bahuboothayo Rail Para,Mage Amma,Magodigo Dayi,King hunthar,Sakvithi Dadayama and Suhada Koka during the years 1976 to 2015 He was awarded the Best Actor award for his role of the match maker in Sikuru Hathe. The immense talent accompanied by humility, humbleness and compassion conquering the stage will no doubt would be etched leaving an indelible tinge in the minds of his fans. May his walk through Sansara be short and may he attain the supreme bliss of Nirvana. Next Story → තාරුකා වන්නිආරච්චි යුගදිවියට!